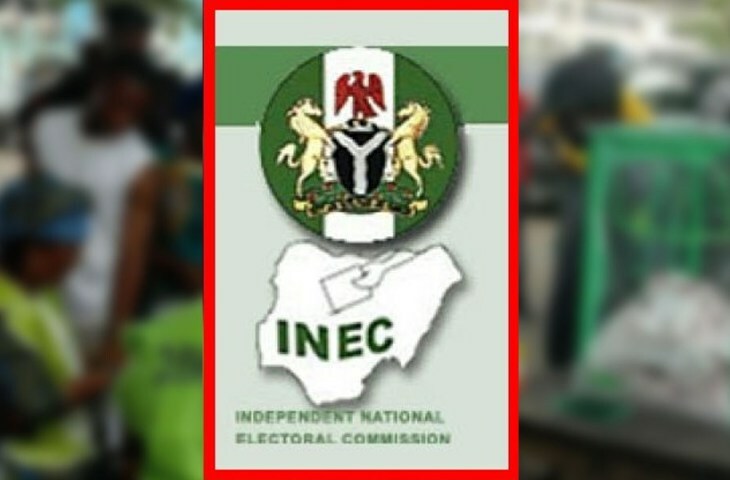 Ahead of the governorship elections in Nigeria, the Independent National Electoral Commission has revealed that the All Progressives Congress does not have a candidate in Enugu State. 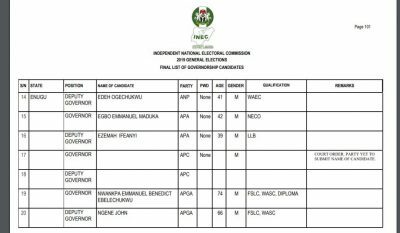 The Federal High Court in Abuja had removed Senator Ayogu Eze as the governorship candidate of the party in Enugu State. The court had asked INEC to recognize Barr. George Ogara as the candidate in a judgement given by Justice I. Ekwo. The National Working Committee of the party which is yet to obey the order of the court had asked that Ogara’s name be submitted to the INEC. 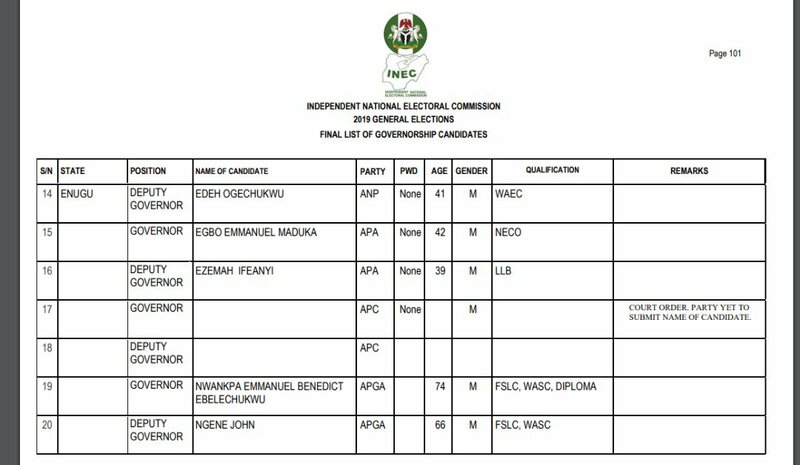 Due to the development, the electoral body has removed the name of the party’s candidate in its final list for the March 9 governorship election.